Veterans of the indie film scene, the authors have produced numerous low budget feature films, sold projects to Hollywood studios, come perilously close to an Oscar nomination, and even ended up in prison! They’re also the team behind the best-selling Guerilla Film Makers Handbooks series, selling over 100,000 copies around the world, and they’ve taught thousands of emerging film makers the key skills needed to make their own great movies to launch a career. Their offices are at Ealing Studios in London and in Los Angeles. The book is a series of expert interviews, each being complimented by a series of 'box-outs' crammed with tips, tricks and hints for you to get the most out of your time, budget and great ideas. The great strength of the Guerilla books across the board is to give you all the information you want, all the information you need and then a whole load of truly vital information you had no idea you needed, wanted or could even ask about. 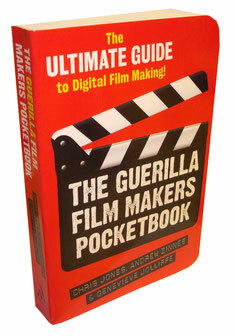 If you are serious about making a film (feature or short) then I urge you to check this book out. 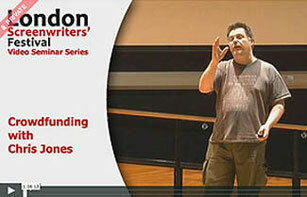 Full of great advice, tips, and interviews for all film makers of all levels, Experienced or Beginner. And due it being a pocketbook means I will take it everywhere I go, for advice and inspiration. Other reviews have touched on how much content is jammed in to this 320 powder keg of tips, advice, case studies & interviews. They are correct. It is amazing just how much is in here, with every element of filmmaking included incorporating support for the zero budget first time filmmaker, up to the more experienced crews with a budget that have to take a whole range of scary legal & technical considerations into account. Although this book takes that fear away. 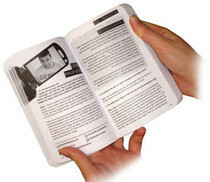 It is also genuinely pocket sized and will be able to be on hand whenever & wherever you may need it. Its beautifully designed & has a great feel to it. Its made to be read.... not sit on your shelf. Size matters, this pocket sized filmmaking bible really is the bees knees and worth 100 times it's (solid but light) weight in value! I love it and I'm really delighted to own, and recommend it. Jam packed full of first rate advice from industry professionals. This is an essential read for anyone venturing into the world of film-making or indeed for seasoned pros who want to expand their knowledge. Set out in a way that keeps it fun and engaging, easy to absorb and could be used on set as a great reference guide. Inspirational case studies give you that boost you need to get your own project on the go. An honest, up to date, realistic view of film making that really does fit in your back pocket. A very wise purchase!